Starting tomorrow, account holders with cheque facility will be charged Nu 300 for every cheque issued with insufficient amount. Royal Monetary Authority (RMA) says, henceforth, all accounts with cheque facility will be required to maintain a minimum balance of Nu 1,000. The move is to reduce misuse of cheques by the cheque facility account holders. The Central Bank has already informed the public and issued a circular to the financial institutions. The Oversight Officer of the Payment and Settlement system Department of the RMA, Kesang Jigme said it is a criminal offence to issue cheque with insufficient fund. “As per the provision stated under section 131 under Negotiable Instrument Act of the Kingdom of Bhutan 2000, it is an offence and punishable to issue cheque with insufficient fund”. However he said people are unaware of such legal provisions. Kesang Jigme added the decision was also based on the study carried out by the Central Bank over a period of three years. “There were large numbers of cheques being returned to Royal Monetary Authority. So we were devoting much of our time in clearing. And also to give a sense of the magnitude of the issue. Account holder has issued a cheque eighty four times from January to November last year. In eleven moths he has issued eighty four cheques with insufficient fund. 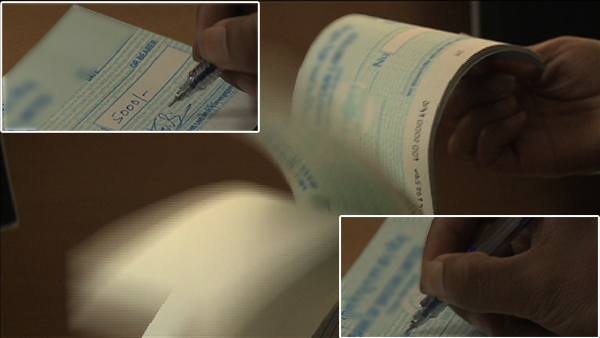 Meaning there are some sections of people misusing the check facility by issuing bad cheques,” he added. RMA says the system will automatically freeze the minimum balance in an individual’s account having cheque facility. This means a person cannot carry out transaction if the account balance is less than Nu 1,000.